TOO MUCH GUM WHEN YOU SMILE? Although your gums are a significant part your mouth, you don’t want anyone to see them whenever you smile. Often called a "gummy smile," some men and women have too much gum tissue that's visible when they grin or laugh. Though it's usually not a serious concern, folks who have a gummy grin tend to feel self-conscious about their smile. This is particularly challenging in an era where everybody is sharing constant selfies to their family and friends on social media. If you're among the many men and women who is self-conscious about their gummy grin, then you ought to be aware there are many treatments that could provide help. If your gummy grin is brought on by too much gum tissue or an overactive lip, speaking to a dentist in Pearland, TX about your issues can help get you to a remedy. Our team at Highland Dental Care and Ortho. listens to our patients to hear their concerns and wants before we talk about potential treatment choices, such as gum sculpting. After you've selected a treatment, we'll personalize your strategy to provide your very best outcomes. Before you make your appointment, find out more about why you have a gummy grin and some treatment choices. Once you're ready, we'd love for you to contact us to schedule an appointment at our practice in Pearland, TX. Dentists have found a couple of reasons why certain people have a problem with revealing more gum compared to teeth whenever they laugh or smile. Prior to picking your therapy, your dentist will have to ascertain exactly what's causing your gummy grin. This can typically be accomplished with a standard oral exam, but in a few instances, your dentist might take x-rays or get an assessment of your bite. A common cause of a gummy grin is the overdevelopment of soft tissue, which conceals a lot of your enamel. This may make your teeth seem underdeveloped or short since your gums are concealing an excessive amount of enamel. Overgrown gum tissue may occur due to genetics, some prescription drugs, in addition to inflammation or an infection in your gum pockets. Prior to correcting your smile, your dentist will search for the underlying reason. In case the issue results from gum disease, then you might require a scaling and root planing therapy. When there's not an underlying issue behind your gum overgrowth your gumline can typically be improved with gum contouring by an experienced dentist in Pearland, TX. Certain people have an overactive top lip, so the muscles that move the skin under the nose bring the lip too high, which shows a lot of their gums. This is generally a hereditary feature and although it isn't a serious issue, a lot of individuals would love to have it corrected so that their smile is more appealing. Lots of individuals in Pearland, TX have corrected their gummy grin due to an overactive lip using BOTOX. In some instances, the way your jaw and teeth grew may result in a gummy grin. As an example, an upper jaw that pops out may result in too much gum tissue. A malocclusion is normally fixed with orthodontics, such as traditional braces or clear aligners. In case your extra gum growth is the result of inflammation or an infection, your dentist can deal with this with an SRP (scaling and root planing) therapy. When the underlying problem is dealt with, your dentist will ascertain if you are a good candidate for gum contouring. 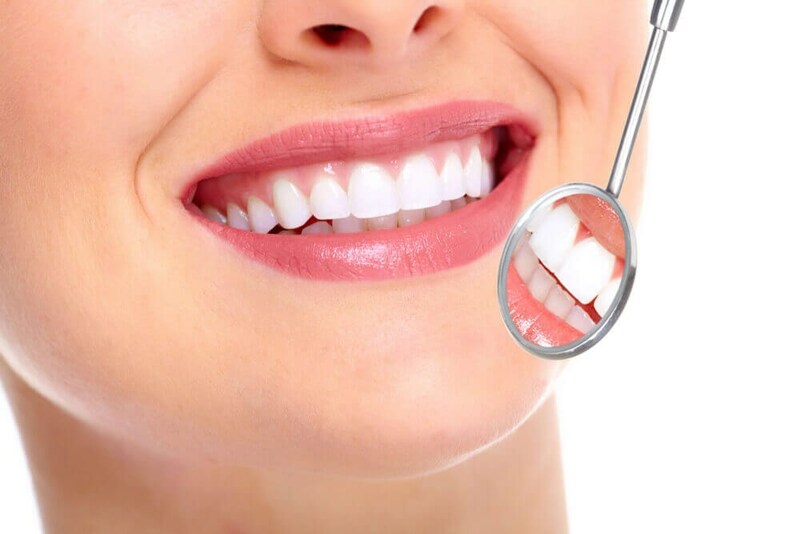 To get rid of overgrown gums and also show more tooth, our office in Pearland, TX features laser gum sculpting (sometimes referred to as crown lengthening or periodontal plastic surgery). Employing modern techniques and technology, we carefully eliminate tiny strips of gum until an even gumline is shaped. The laser seals the gum tissue to lessen bleeding throughout the process plus it makes your recovery faster in contrast to conventional gum surgery. The dentist will contour your gums so that your grin has the best proportion of teeth to gums. Based upon your particular requirements, Highland Dental Care and Ortho. provides various options of sedation to help keep you comfy as we contour your gumline. In case the problem with your smile is brought on by an overactive upper lip, you might ask for information on injections of BOTOX. Like how BOTOX relaxes muscles to soften wrinkles on your brow, BOTOX may be put in the area above your lips to decrease the motion of your lip whenever you grin so that your gums stay covered. Although many dental practices in Pearland, TX don't offer BOTOX, they will suggest an experienced plastic surgeon who can assist you. To fix a grin brought on by a misaligned bite, your dentist might suggest orthodontics. At Highland Dental Care and Ortho., we provide removable aligners to fulfill the requirements of every one of our clients in Pearland, TX. Our staff evaluates every individual's unique requirements and goals before suggesting a customized orthodontic treatment program. When it's finished, your grin won't be gummy and your entire mouth will probably be healthier when your bite is properly aligned. If you're looking for a remedy to a gummy grin, you can find choices to help fix it at Highland Dental Care and Ortho.. A more attractive smile may improve your confidence and you might discover you would like to grin more often! To find out more about laser gum sculpting to eliminate overgrown tissue, get in touch with your dentist in Pearland, TX to schedule an appointment. When patients come to Highland Dental Care and Ortho., our team will evaluate your gums and teeth and go over your treatment options. Our skilled dental professionals can use SRP therapy to decrease gum swelling or laser gum sculpting to take off overgrown tissue. In addition, we offer contemporary orthodontic choices that won't simply fix your gummy grin, but also align your teeth for a healthy mouth. Whichever treatment you pick, we'll produce a treatment program that enhances the appearance of your gumline so you're able to smile with pride and confidence.